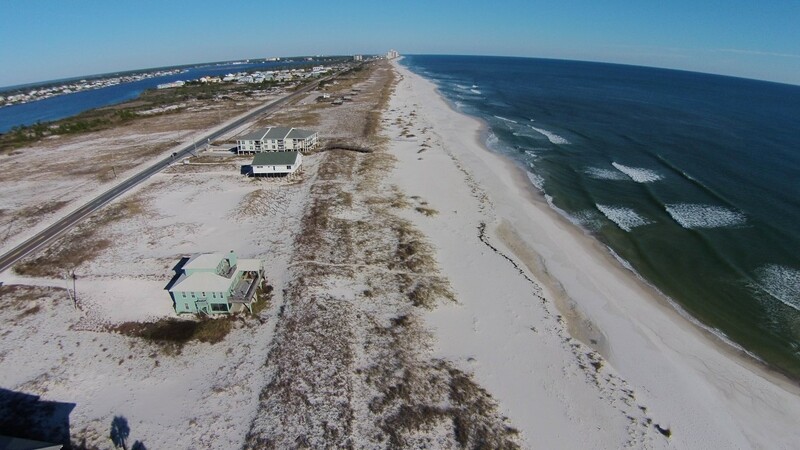 Experience the vacation of a lifetime by staying in this stunning Beach House located in Perdido Key! This 5 bedroom, 4 bath home is a true summer retreat! Situated upon close to an acre of beachfront heaven, this completely remodeled beachfront home offers casual elegance and style in every square inch. Abundant views can be appreciated from almost every room in the house, so you can enjoy the dunes, sea oats, and the ever relaxing sound of gentle lapping waves and the soft coastal breeze. With close to 3500 square feet of luxury this home is amazingly spacious, with a modest exterior that belies the stunning furnishings, beautiful finishes and designer touches found within. There are 2 spacious living areas, a large kitchen, and plenty of outdoor space, making this the perfect sanctuary for a large family or group! The downstairs living area includes a new 40" LED TV, a new plush sofa sleeper, love seat, and 2 comfy side chairs, where you can convene in comfort for after dinner cocktails, or simply kick back and enjoy some downtime in your beachfront abode! The gourmet kitchen features a commercial size stainless steel refrigerator/freezer and a layout fit for a top chef! Granite countertops, a large breakfast bar with plenty of seating and counter space, and all the small appliances and utensils you’ll need allow you to whip up a five-star meal in no time. Adjacent to the kitchen is the spacious dining area with a table that seats 10, plus a breakfast bar with seating for 4 so the dining area seats up to 14! The second larger family room is upstairs and features a 50" LCD television, high ceilings, and 2 large sofas plus additional seating so the entire group can gather for movie or game night. The upstairs living area also opens to a top floor beachfront balcony offering panoramic gulf views! The elegant master bedroom is certainly an oasis, featuring a king bed with a premium plush mattress and an ensuite bath. The additional bedrooms are equally impressive, with a king in the second bedroom, a king in the third bedroom, and a king in the fourth bedroom, and two queens plus a twin bunk alcove in the fifth bedroom! This lovely home sleeps up to 14 in beds comfortably, plus the queen sofa sleeper for overflow! Outdoor space includes large decks on both the main floor and upper level, great for outdoor entertaining, gazing at the stars, reading a good book and even dining al fresco at the outdoor dining table! You’ll never have to fight typical beach crowds, as this home is situated on nearly an acre of pristine coastal property with 100 feet of private beachfront! You get spectacular views both north and south, as to the north is state park land that is protected from development. There is even an electric grill on the ground level, so you can grill your own delicious steaks or fresh catch! This fabulous beachfront home has every luxury imaginable to ensure an unforgettable beach vacation. Book with us today and turn your dream vacation into a reality! *Surcharge may apply to large groups. Please contact us for additional information. Perfect vacation spot for a large group! Loved the house and the beach! What a wonderful experience we had at East of Eden Beach House! Our family of eight...which included our adult children, their spouses, and our grandchildren...were there this year for spring break. We also rented this same house last year for spring break and everyone was so excited when we were able to get it again this year. The home is beautiful, with high end furnishings and a very well stocked kitchen. It sits directly on the gulf with no high rise condos nearby to block the view or crowd the beach. We felt like we had our very own piece of paradise with no distractions. And working with Luxury Coastal Vacations is always a pleasure, no hassles, no worrying about whether the property we rent will be as described on their website. They always respond quickly and professionally to any concerns we have and the staff they send are courteous and respectful. We have used Luxury Coastal many, many times over the past years and have never been disappointed! Their customer service is the very best! Our 35 year search for the perfect vacation house is over! This is our 4th year at East of Eden. We love the location of the property. Its proximity to grocery shopping and restaurants is great. Even though there is one high rise nearby, the beach was very clean and peaceful and we felt we had plenty of room for our troupe of 10 women. The house is immaculate and very comfortably furnished. Having two living spaces provided plenty of room for half of us to watch tv, cook, read, etc. downstairs while another group of us did yoga in the spacious great room upstairs. The great room also provided plenty of seating for all 10 of us to enjoy movie nights together. 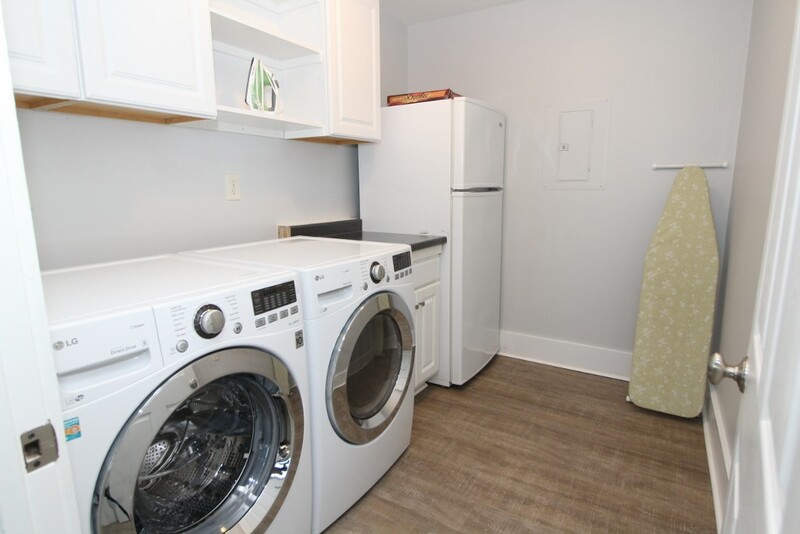 The beds are very comfortable, the kitchen is as well equipped as any rental unit we've been in over 35+ years. We love the covered porch and had dinner there every night. Both inside and outside tables were perfect for our group of 10. The attention to detail is obvious. Everything from providing an excellent rental process, making sure the unit is stocked with basic necessities (soap, laundry detergent, t.p., paper towel) for the first day's stay, providing an incredibly responsive and friendly staff, wonderful amenities, and comfortable furnishings to actually asking for input on how to make our stay better are all reasons for coming back next year! Our search for the perfect vacation property is over.